The verbs wait and await have similar meanings but they are used in different grammatical structures. "Wait" can used in more different structures than "await". This verb can stand alone *without an object*. 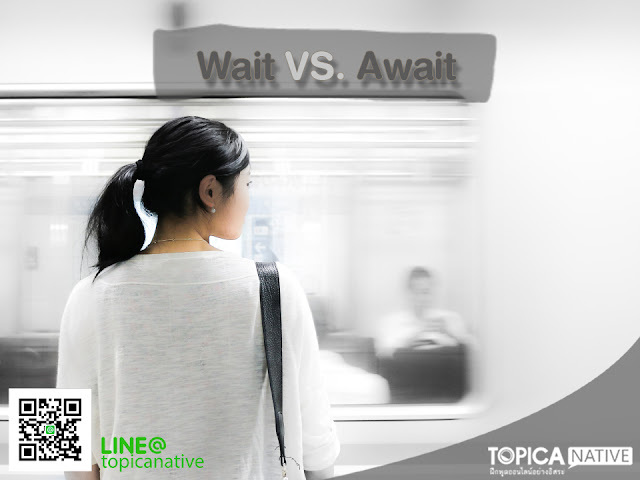 “Await” is a transitive verb, and always go with “an object” right after it. The object of await is usually a thing. It is not a person. Remember the structure “Await + something” in any circumstance. Await is more formal than wait. It can be used in formal letters and documents. You can see how well you did by checking the answer in the 1st comment!